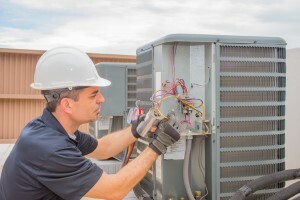 Bowen Cooling is a family-owned and operated HVAC Company that is committed to creating a strong bond and working relationship with our employees and customers. Ken Bowen, license holder, and the team here bring over 30 years of hands-on expertise in the business. We are an HVAC company that has earned an A+ rating with the Better Business Bureau and are proud distributors of YORK ® HVAC Equipment. That's because we take this line of work seriously and that is evident in every detail of our company and work practices. Our job is to service your air conditioning and heating system. Our goal is to do so in a manner that affords you peak performance and optimal longevity.